New to our stage this year is Matt Moldover! Moldover designs and builds his own electronic performance instruments, the instruments built into his album packaging, and many other crazy gadgets! 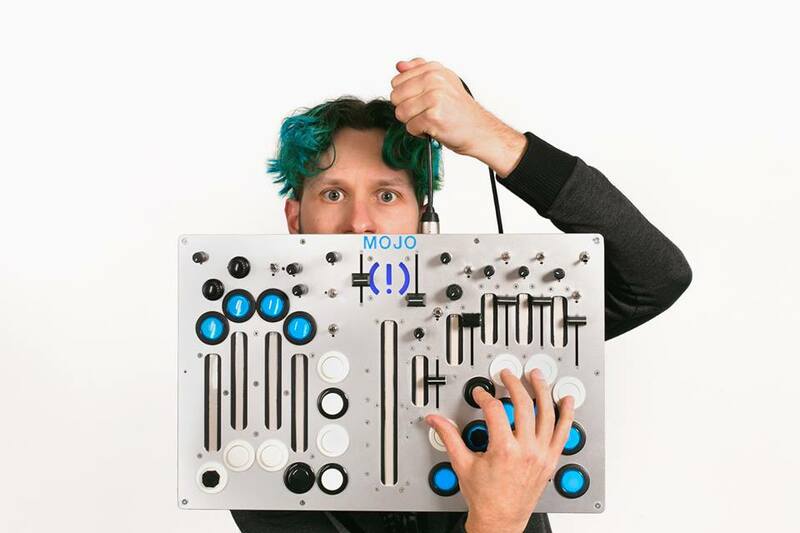 If technology and music are your life, brace yourself- Moldover is about to reformat your soul. Hailed by 700,000 YouTube viewers as “The Godfather of Controllerism”, Moldover is a new breed of music icon. Combining the charisma of a rock star, the mad genius of a basement inventor, and the radical inclusiveness of the DIY internet generation, Moldover is “literally throwing away the rule book and reinventing the wheel” (Remix Magazine). Witness his balls-to-the-wall live show at a club, experience his multiplayer music installations at a festival, or pick up and play the “light theramin” packaging of his debut album and understand why the next paradigm for music is a one-man-brand called Moldover.